Her paintings begin with a foundation comprised of multiple layers of color and a variety of textures. Building from that background she allows intuition to guide her. Defined shapes and forms present themselves organically as the piece progresses. 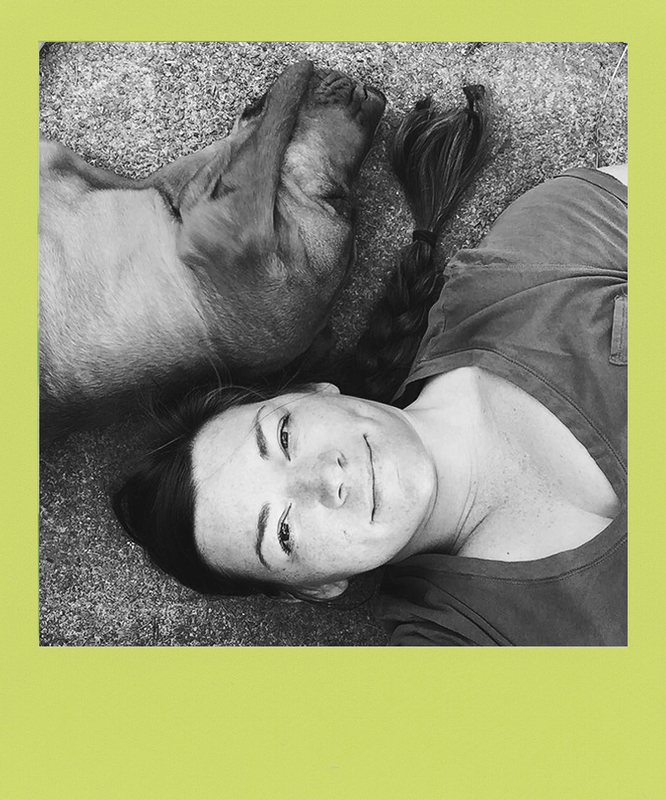 Andi and her hound, Remi are located in south central Pennsylvania. Andi studied fine art/art history and graduated with a BFA from Frostburg State University. Remi is apprenticing. Andi works with a variety of mediums, including acrylics, inks, and oils. She considers her art to be abstract. Her work exhibits an ethereal sense of warmth, light, and love but also elicits the sensitive chaos found in nature. Her paintings begin with a foundation comprised of multiple layers of color and a variety of textures. Building from that background she allows intuition to guide her. Defined shapes and forms present themselves organically as the piece progresses. She does not intend her work to espouse a specific message or extract a uniform reaction. Instead, she hopes to deliver a perpetually novel experience to each viewer, evoking unique visceral responses. She created andiann studio to bring her art into the creative wedding realm and to broaden her reach beyond local and regional markets to clients’ homes across the country.